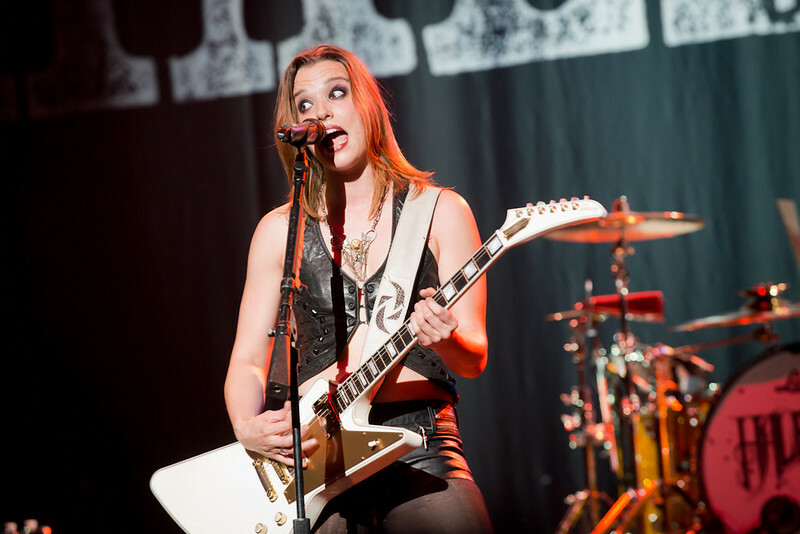 Ahead of their headlining tour which starts this November, Halestorm rocked The Wiltern earlier this month proving why they won the Grammy earlier this year for Best Hard Rock/ Metal Performance. The next few months will be quite busy for the Grammy winners. Arguably the hardest working band in music, Halestorm are currently on tour and later this month, the Pennsylvania band heads over across the pond to start their European tour with SHINEDOWN and Alter Bridge while October 15th is the day their covers EP, ReAniMate 2.0: The CoVeRs eP, a follow up to 2011's pop-infused cover's album. This time, for this record, they give tribute to Daft Punk, Marilyn Manson, Pat Benatar, Judas Priest, Fleetwood Mac and AC/DC. 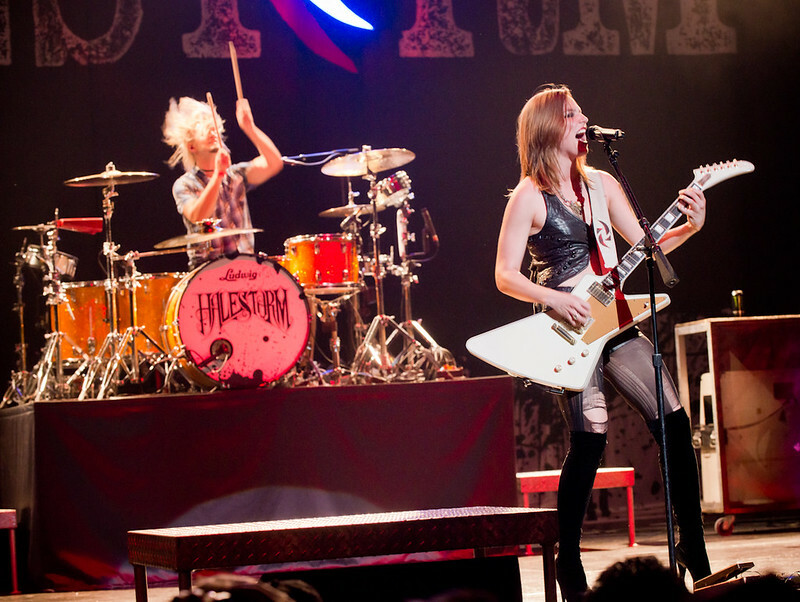 The end of the year, Halestorm returns stateside headlining their 14-date, North American tour with Stars in Stereo beginning beginning November 26th in Memphis.